Washington Post Opinion: "Play the ‘woman card’ and reap these ‘rewards’!" 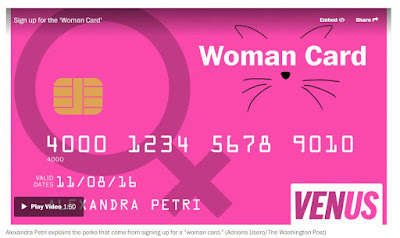 The Woman Card entitles you to constant scrutiny and judgment from all corners at all times, whether you asked for it or not. Try talking! Or rather, don’t.